We had some bread left-over after an impromptu garden party for twelve on Bank Holiday Monday. 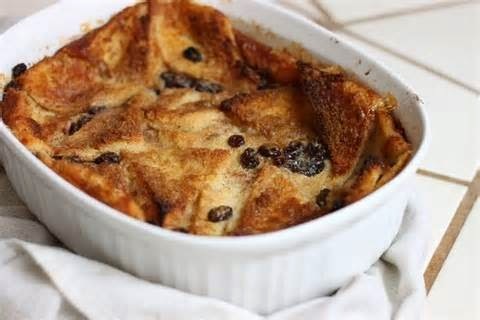 Being left-out in the sunshine for a few hours it had dried out somewhat and so we decided to put it to good use and make a bread and butter pudding. 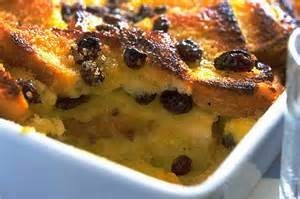 It is an old style school-dinner pudding and brings back happy days of queuing in the canteen for my share of the school cook's speciality, dripping in custard. Nowadays, you can add a glug of sherry to it if you like! 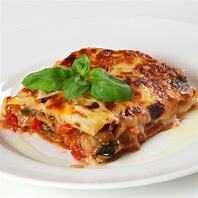 Why not try this simple recipe. 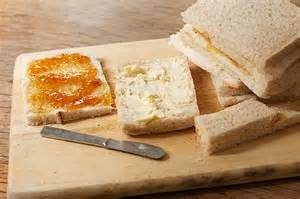 Butter the bread and spread with the apricot jam. Cut the slices into triangles, then layer in the dish, sprinkling the mixed peel and sultanas between the layers. Put the milk and sugar into a saucepan and heat until nearly boiling. Take off the heat and whisk in the eggs and then the sherry. 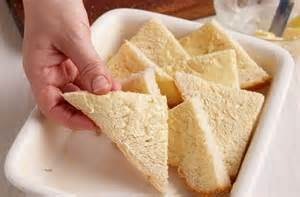 Pour over the bread and leave to soak for 30 minutes. Meanwhile, heat the oven to 180'C or Gas Mark 4. 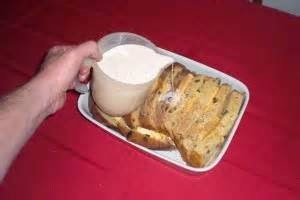 Put the dish into a roasting tin and fill the tin with water to halfway up the sides. Bake in the oven for 45 minutes. Turn up the heat to 190'C or Gas Mark 5 and cook for another 10 minutes or until crisp and golden on top. Dish up with lashings of custard.